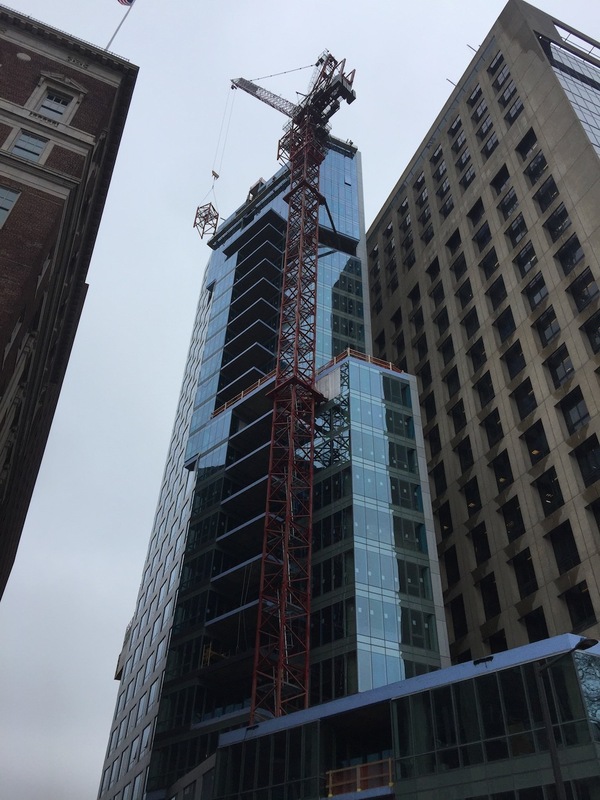 But really, completion is just around the corner, as witnessed yesterday by the dismantling on the massive crane that helped build this beauty! My office is right there at 530 Walnut, so when I walked by yesterday, thought I'd snap a photo of the incredible process that occurs with these massive cranes. Essentially, it's a process where the crane continues to build itself as tall as it needs to be and when construction on the building is complete, crews begin removing these huge sections and lowering them to the ground where 18-wheelers patiently wait to take section by section on to the next site. So, Beyonce and Jay-Z are moving in, right? NOT! I know, I know, I was just as excited as you when it came out in the news that they'd be buying a condo here, however, it turned out to be "alternative facts". Regardless if the Queen Bey and Jaz-Z are living here or not, turns out this is the most expensive Real Estate per sq ft that the Philadelphia Real Estate market's ever seen! The "smaller" condos in this very special location will range anywhere from 2700' all the way up to approximately 4500'. And unless you have around $3M (the starting price) in your purse, darlin, 500 Walnut isn't the place for you. No, your eyes aren't playing tricks on you, because in fact, that is Independence Hall, the Liberty Bell and the National Constitution Center, all of which can be seen from your private terrace. 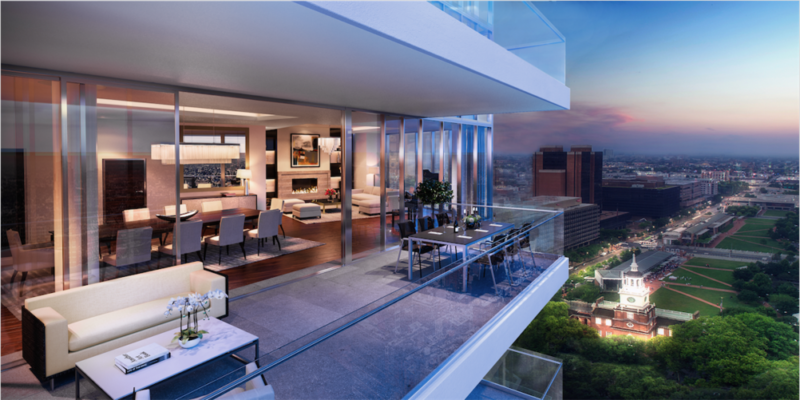 500 Walnut is reported to have 35 residences and according to sources, about two-thirds of these have already sold. For additional information, please contact Kevin Wilkins via email Kevin@centercity.com or mobile 267.251.0405.